Much like April Fool’s Day, the quadrennial football feast that is the World Cup is a golden opportunity for PRs to create stories and campaigns (that for many have just the slightest relevance) around this global sporting occasion. 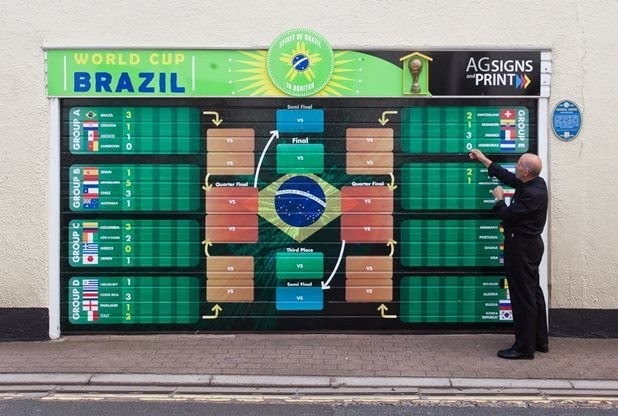 Devon man creates giant wall chart: Not content with a DPS wall chart pull out from his daily newspaper, a clearly talented and football mad sign writer from Honiton in Devon decided it would be good for England’s chances and his business if he made a giant version – on the side of his house! Not only did his handy paintwork last longer than England, it also attracted attention from The Metro and his local BBC TV news! 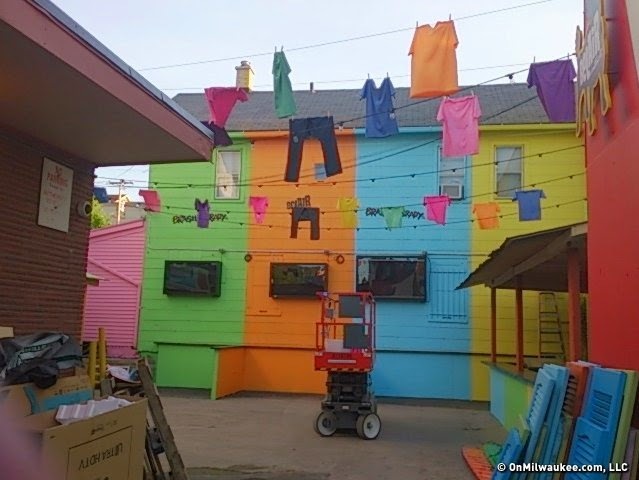 US Pub creates ‘favela’ themed beer garden: Literally, as the title says, a pub in Milwaukee courted a bit of controversy with their creation of a colourful, favela inspired beer garden to drive custom during the tournament. While it may not have got the kind of attention they were hoping – Twitter was abuzz with criticism for the stunt – it certainly raised their profile in the local community! 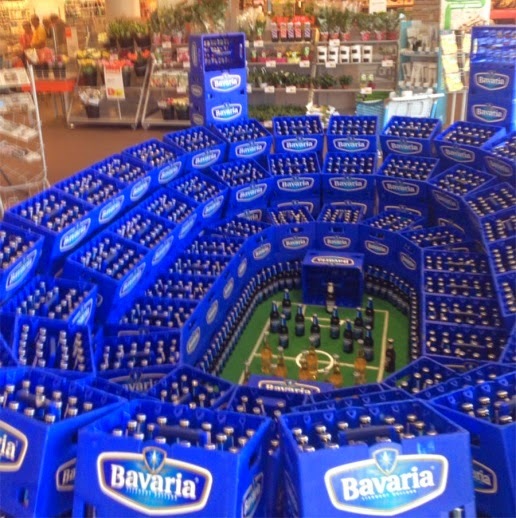 Beer stadium: While beer and football go hand in hand, this miniature creation by a gifted group of warehouse workers (with a lot of time on their hands) could be classed as a work of art. It’s amazing how something as simple as stacking crates of beer in a slightly angled way can create so much excitement on social media! 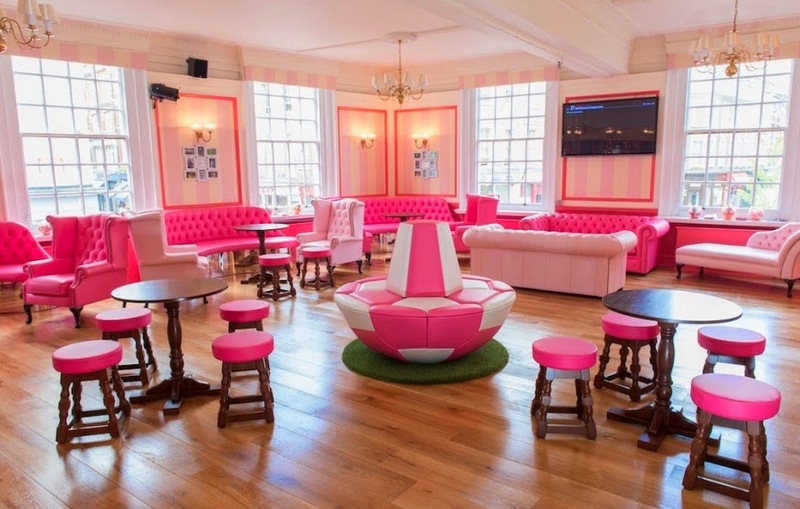 Pink Pub: Last but not least is the effort of makeup company Benefit, who appeared to have taken a bit of a ‘Carlsberg’ approach to the world cup - with a pop-up pub designed for girls that is complete with garish pink interior, beauty treatments while you watch along with wine tastings and stand- up comedy! Though clearly not a small stunt, the team behind this have to be praised for simply convincing Vice Magazine to come down and cover it and posting a fairly good review!